Photo depicts a cartoon of a man in a doctor’s office. 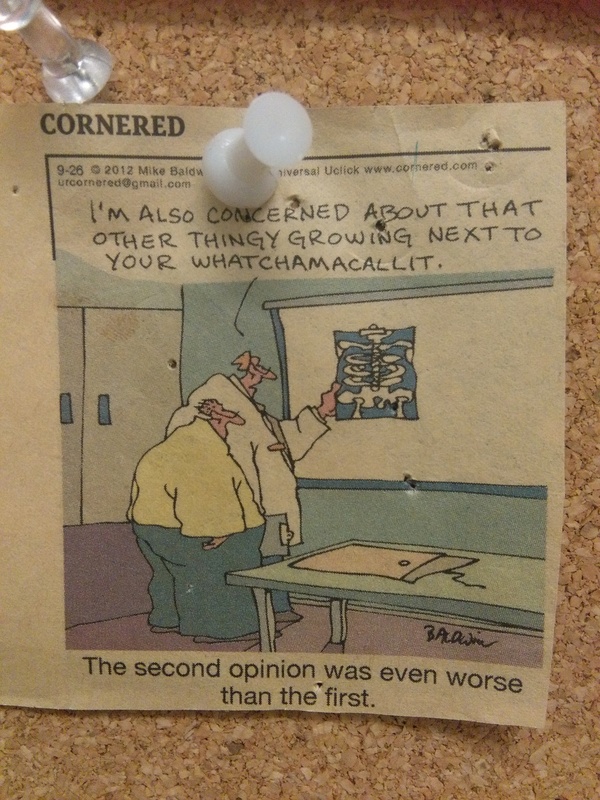 The doctor is pointing at an ex-ray hanging on the wall, saying, “I’m also concerned about that other thingy growing next to your whatchamacallit.” The caption reads: The second opinion was even worse than the first. Haha! Yeah, that’s me at the doctor half the time. Ha ha – It would be my luck to have that guy as my doctor. 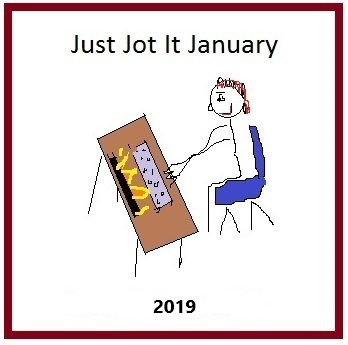 LOL – that’s a great cartoon! Good one!